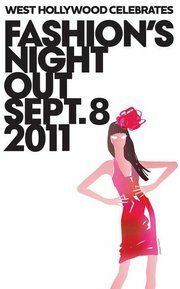 Fashion’s Night Out is just a few short weeks away (September 8th to be exact) and the events are starting to line up. While most retailers host special events and parties on this night the actual intent of FNO is to remind consumers of the importance that fashion, retail, and shopping bring to their local economy. However, there is nothing wrong with having fun while indulging in a little retail therapy. I don’t know about you, but I enjoy shopping a lot more with some cool tunes in the background and a glass of champagne in hand. Last year we had a blast on Rodeo Drive and this year the city of Beverly Hills promises that FNO on the world renowned street will be even grander. Rodeo Drive will be transformed into a high-end fashion carnival featuring well-dressed flamethrowers and stilt walkers. The iconic Ferris Wheel will also return with complimentary rides for those who show proof of purchase. The evening’s festivities will include 67 in-store events, cocktail parties, celebrity appearances, 15 gourmet food trucks, and a Cirque du Soleil Flipbook Experience where shoppers can take photos as if they were in the IRIS show and create a custom flipbook. They will also have the opportunity to win tickets to the live performance of IRIS at the Kodak Theatre. The Grove will celebrate FNO with a can’t miss outdoor event in The Park titled “Be A Star Under The Stars” where models will display the latest styles, MAC will host a ‘Me Over’ cosmetics makeover party, and shoppers will have the opportunity to receive styling tips from an onsite stylist. Guests will also enjoy special savings at select stores, giveaways, and a chance to win a $500 shopping spree at The Grove. Loyalty Rewards Members will receive double points for purchases made during the evening and participating restaurants will also feature fashion-inspired menus. Go to www.thegrovela.com for more info. The City of West Hollywood also plans to get in on the action as a number of shops have signed up to participate in FNO. The WeHo festivities will end with an official after-party at the Mondrian’s Sky Bar, where a receipt from a participating WeHo retailer will get you in the door. The City will also offer free shuttle buses along Melrose Ave, Robertson Blvd, and Sunset Blvd. The shops located on The Avenues will also be partaking in the event. Visit www.facebook.com/FNOWestHollywood to learn more. As a side note: The Avenues will be getting the party started early with Taste Fashion – an extraordinary dining experience that brings together haute cuisine, glamorous cocktails, and high fashion. Guests will dine on a multi-course dinner prepared by José Andrés (The Bazaar) while watching a live fashion show by Phillip Lim. Tickets are $200 and can be purchased at www.avenueswh.com/taste-fashion-2011 . Proceeds from the event will benefit art programs for the West HollywoodElementary School. 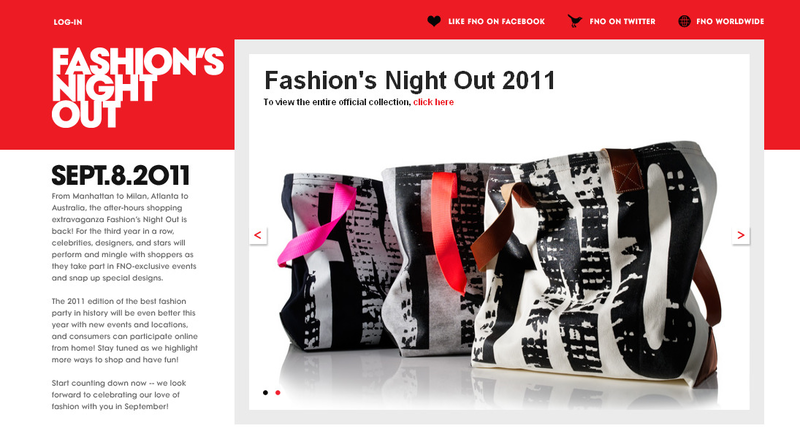 If you don’t live in Los Angeles then visit www.fashionsnightout.com for a listing of events in your city and be sure to check back with us for updates on additional events.